Very few of us have flawless, beautiful skin. A fresh appearance and healthy complexion do not happen by chance but there are lots of steps you can take to make your skin look radiant and perfect. Did you know your skin makes up nearly 16% of your body weight? Skin is the human body’s largest organ. Your skin has a lot to do. From morning to evening, it is exposed to various different influences which can have an effect on it both inside and out. It surrounds us, reveals how we are feeling and regulates our body temperature and stores energy. It plays an important protective role. Sunlight, tobacco, alcohol and stress promote the formation of free radicals, which attack our skin. And heat, cold, moisture and pollutants also have a direct effect on our skin, and therefore on our health. The state of our skin is determined by internal factors such as a genetic predisposition or the completely normal ageing process. We cannot protect it completely from all influences, but with the right care, we can support it in its functions, making sure our skin stays as close to perfect as it can. Along with your eyes, ears and nose, you possess another communication organ: your skin. There’s no other organ through which we communicate more with other people. We use it to feel, touch and show our innermost feelings. Thanks to the sensory fibres in our skin, information not only travels from the outside in, but also from the inside out. Our skin shows how we experience the world around us and how we react to it. So show yourself and your skin some respect! THE SECRET TO PERFECT SKIN? The state of our skin is determined by genetic predisposition, but also by environmental influences or our age but there are things you can do to make your skin look perfect. Get active and look after your natural beauty! Our beauty tips for perfect facial skin! Going to bed with make-up on is a definite no-no! Makeup remover, a gentle washing gel and a clarifying toner will make your skin look radiantly beautiful the next morning. Be kind to your skin and don’t rub your skin dry with a towel after cleansing it. Simply dab your face gently so the skin’s natural protective barriers don’t get damaged. Stress can be seen on your lips: NIVEA Hydro Care SPF 15 contains long-lasting moisturiser and SPF to makes chapped lips look great again in no time. Make sure you regularly exfoliate with facial scrubs as an integral part of your beauty routine. This will allow you to maintain a fine-pored and rosy complexion. Your skin is nocturnal – the cell division rate is considerably higher at night than during the day. 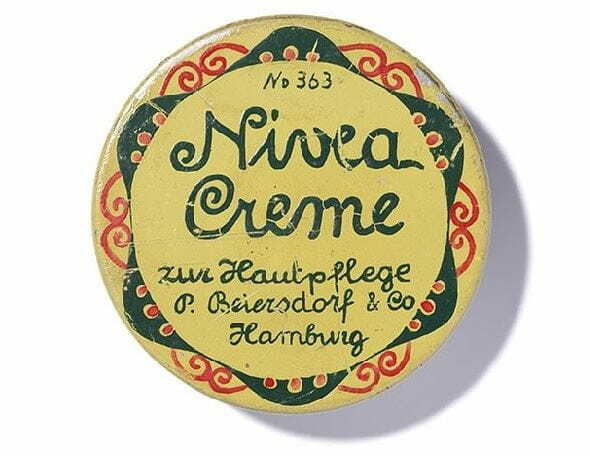 Do your skin a favour with Regenerating Night Face Cream from NIVEA. Clean your make-up accessories from time to time. Otherwise bacteria will end up on your skin when you use them. There are many factors which can cause skin to age prematurely. Your lifestyle also has an effect on your appearance. A poor diet, alcohol consumption, nicotine and psychological stress are like poison for your skin. Live a healthy lifestyle and treat yourself to some time out – it’s the best recipe for youthful, beautiful skin. UV radiation from sunlight from sunlight also speeds up skin ageing. You should therefore use a suitable sun protection product, especially in summer. With the right care, you can effectively reduce lines and wrinkles – the first signs of skin ageing. NIVEA Q10 Plus Anti-Wrinkle Cream has SPF 30 and UVA filters to protect the skin from premature ageing caused by sunlight. Always read the label. Use only as directed. Bring on the good life: a healthy diet, sport and relaxation will give you great-looking skin. Take some time for yourself and give your body the attention it deserves. Running, cycling, hiking – endurance sport outside in the sunlight will supply your body with oxygen and give fresh colour to your cheeks. A facial massage will reduce stress. Spread your index finger and middle finger upwards from the bridge of the nose. On the way up, spread the fingers apart until they reach the hairline. Exert gentle pressure while doing this. To clear your head after work, mental activity can help just as much as physical activity. Is there anything you’ve always wanted to learn to do, like learning a new language? Or perhaps you could make something with your hands after a long day at work in front of the computer? By drinking plenty of water, you also treat your skin to some refreshment! Water supports your cells, transports nutrients and promotes concentration. Try to drink at least 2 litres of water a day. Natural care for velvety soft skin: treat yourself to a moisturising mask with olive oil, yoghurt and avocado. Plenty of sleep and a rich night cream – that’s how to let your skin regenerate. The amount of sleep differs of course from person to person – the ideal amount is around 7-8 hours. Health tip for beautiful skin: warmth will relax your mind and body. But the temperature of water should not be more than 38 degrees. Rehydrating bath additives protect your skin from dryness. In addition, the steam opens up your pores: moisturising masks will then have an extra beneficial effect.